I had the pleasure of making this Bride to be’s wedding shower extra special! I love adding fun personal detail to a shower when I do one! 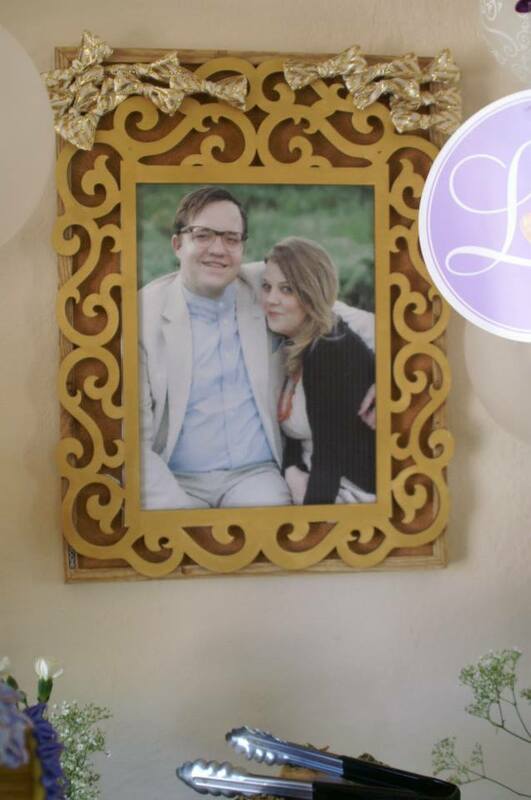 For Jamie I had one of her engagement pictures printed and then mounted it on a cork board. 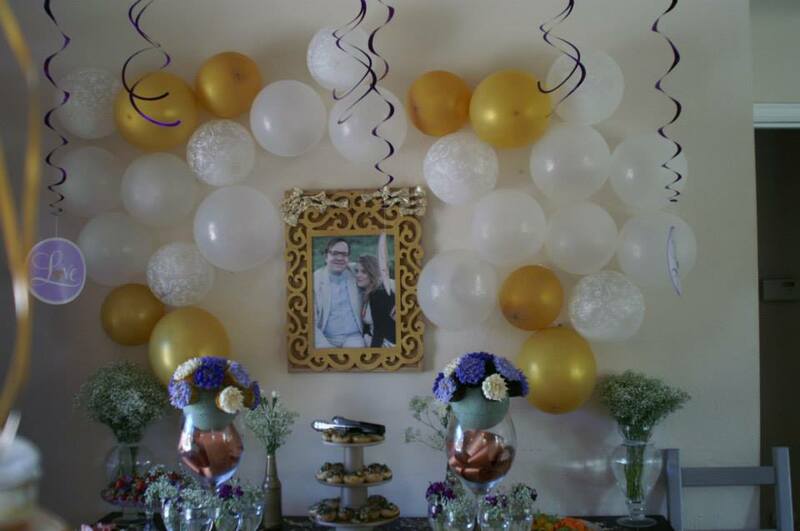 I used the picture as the center pieces of the decorations and it doubled as a game later on. I also added a face frame to make the picture extra special! She loves it! 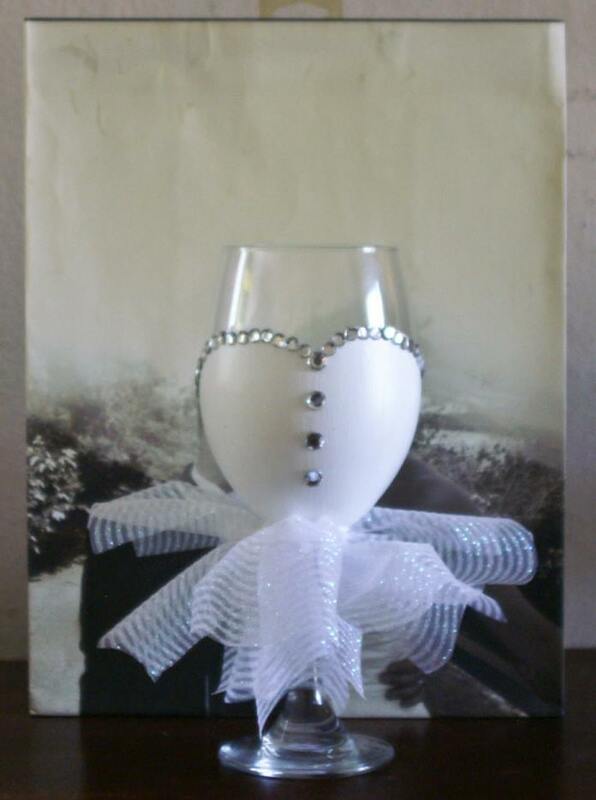 I also make a cute Wedding cup for Jamie to use at the shower and all her future wedding events! it was a big hit! 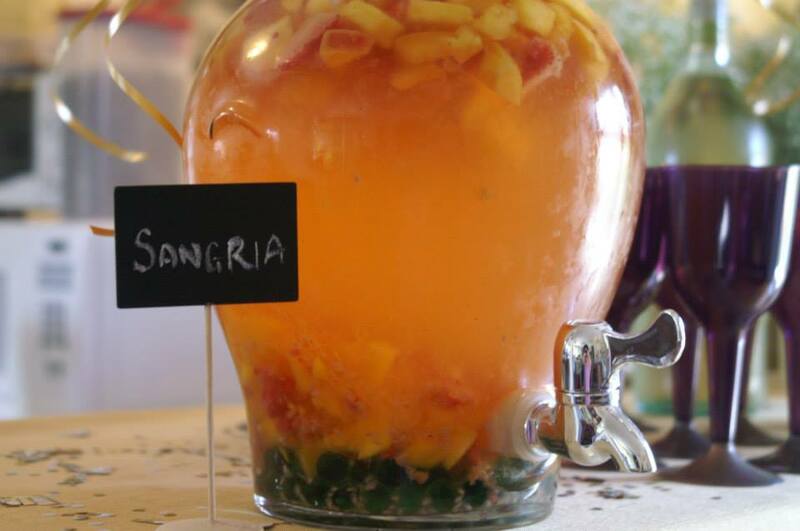 We served Sangria make it the cup extra fun! Other details so help Jamie’s day feel like one of a kind was creating cupcakes that looked like flowers. I used those as center pieces on the main table. 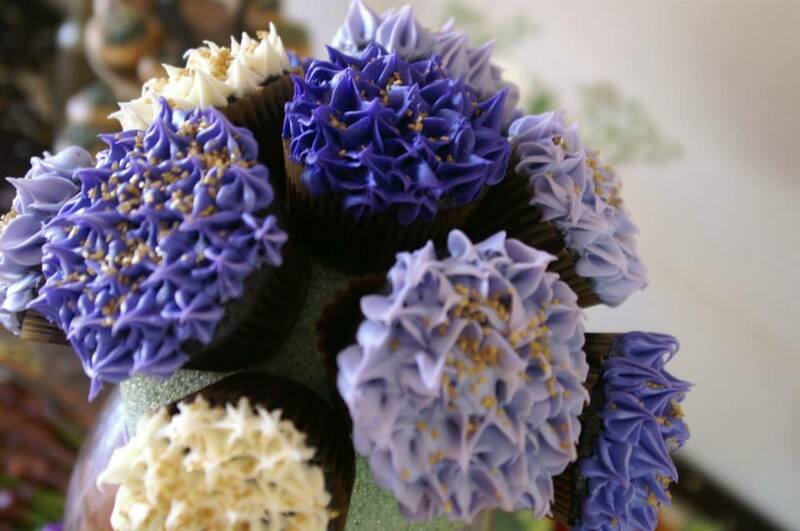 I do have to say for future clients I will need to make more cupcake in order to keep the cupcake flower bouquets looking full. You only learn by trying! 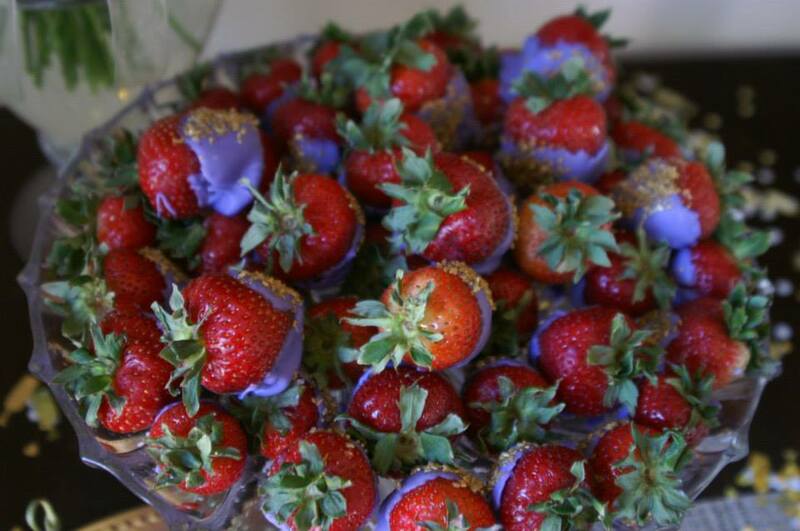 Also make chocolate covered strawberries in her wedding colors. 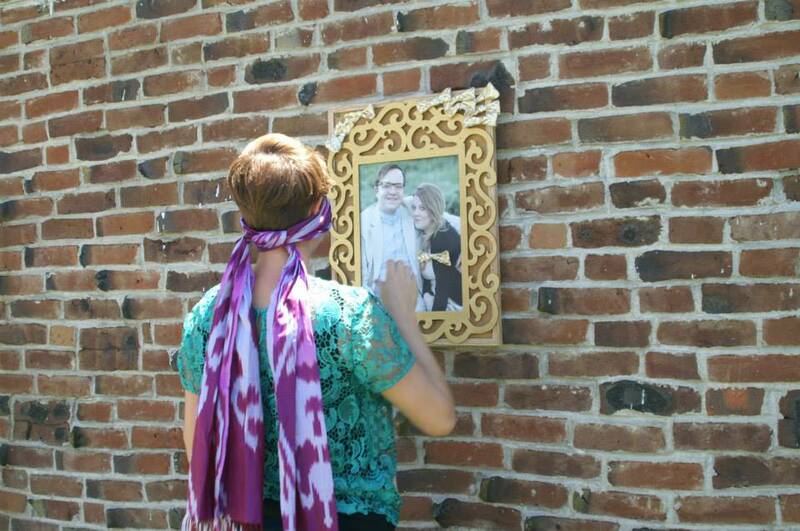 Pin the Bow on Sam (Jamie’s Fiancé) was a fun little afternoon game as it began to get to hot outside. We played and then headed inside for gift time! The Center pieces from the main table worked well. 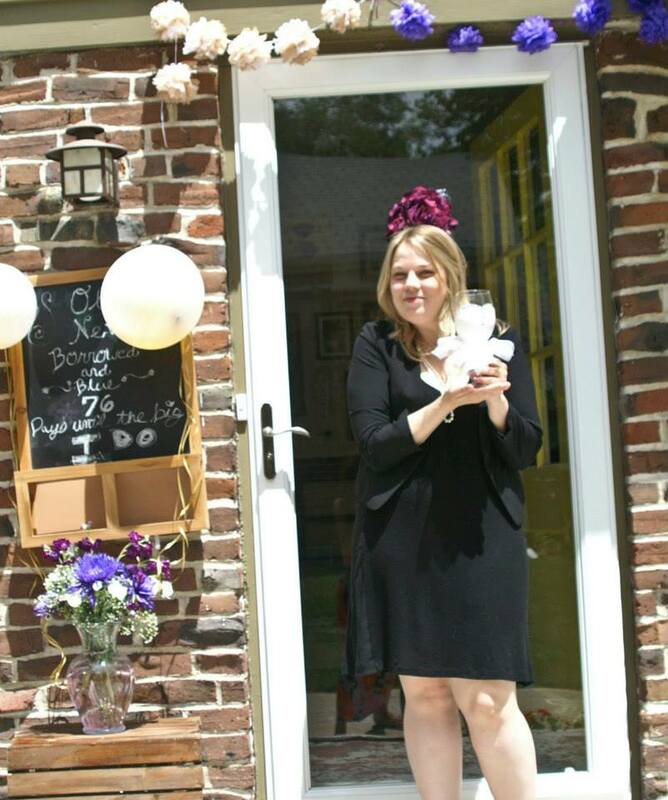 All and all Jamie had a great time at her shower! If you would like help with your shower send me an e-mail for a FREE consultation! 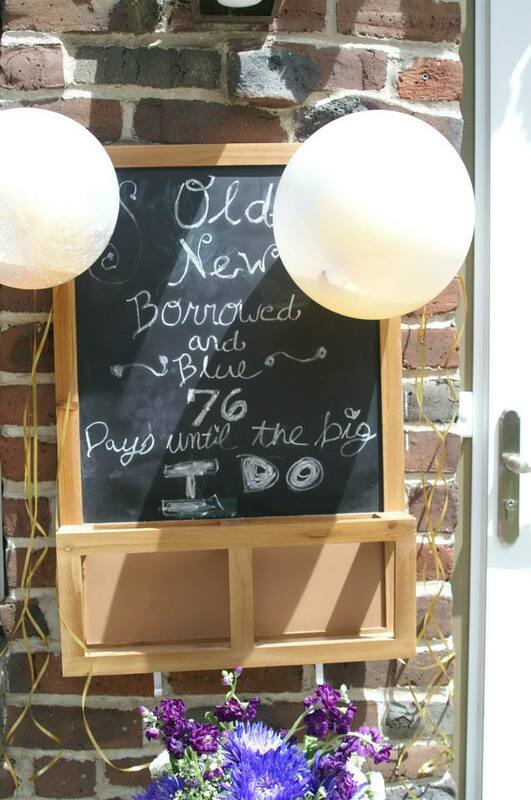 This entry was tagged Bridal Shower, Colorado Wedding, Diy Wedding, Handmade wedding, Party Planning, wedding. Bookmark the permalink.